Ye Kendall Inn post from 2007: I HAVE A PICTURE OF SARAH!!! We attended my brother-in-law and his wife's wedding reception at Ye Kendall Inn. We had heard it was haunted, but I was pretty skeptical. I didn't want anyone to tell me ''stories'' or ''experiences'' because I wanted to find out for myself. My sister-in-law had arranged for our family to stay in the rooms around the courtyard after the reception. It was a month after I had my baby, so when my husband's family offered to watch the baby for the night, I decided to jump at the chance to relax. We went to the bar inside for a drink and asked the bartender why everyone thought the place was haunted. He wouldn't elaborate. He just said ''stick around long enough, and you'll find out''. Fair enough. Well, we walked out through the dining area and onto the wraparound porch. I could smell cigar smoke, but I figured it was because it was an old building and that smell was probably permanently burned into the walls. 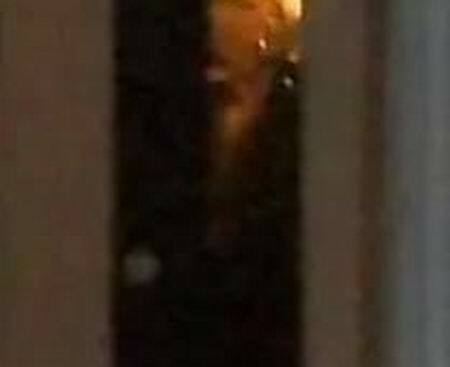 We walked around the porch, towards a closed off area of the inn, due to construction, and I saw a dark figure, who looked like it was wearing a top hat, smoking. I blinked a few times to make sure my contacts weren't out of focus and asked my husband if he saw it. He said no, so I brushed it off. We went a little farther towards the back of the building, but I was feeling very uneasy by then, so I asked my husband to turn back. Later that night my husband gave his best man speech. We were in the courtyard, and I decided to take a few pictures. The next morning once we got back to my-in-laws' house, I couldn't help but feel that I needed to look at the pictures. It was like I needed to take a really close look at them. Something wanted to be found. I looked at my husband's toast picture and zoomed in on his face. Behind him was the door to the main lobby. There is a profile of an elderly woman, with white hair, in a bun. I thought my eyes were playing tricks on me, but when I looked below her face, I saw her body. She was in full Victorian era clothing. It was a long black dress with the white ruffles at her neck and down her chest. You can make out her face PERFECTLY. My heart stopped. The only person who was elderly at that reception was my husband's grandmother. And she was sitting behind me holding my daughter when I took the picture. Plus, she was not dressed like the woman in the picture!